A guide like this can save you hours of work, a lot money hiring someone to do the SEO work for you, and the opportunity to build your knowledge in a very important area of photography, your online portfolio. Having an optimized website can also lead to more clients, less money spent on advertising, and the ability to mold and build your reputation for your work online. There are a lot of resources out there for SEO but it’s nice to see a guide that caters to photographers. 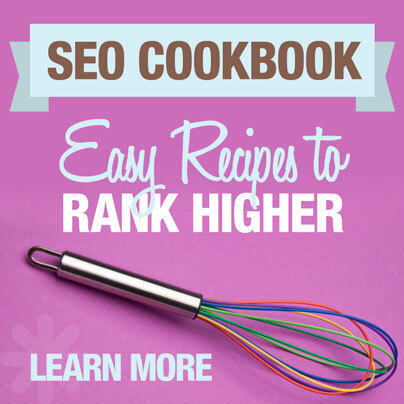 1 Comment on "SEO Guide for Photographers – Recipes to Rank Higher"
thank you for sharing info about this book. i was looking for information to improve my sites SEO for month now. Found this while i was looking at bussiness card ideas at your blog. Thank you for that as well. Good luck and stay warm!